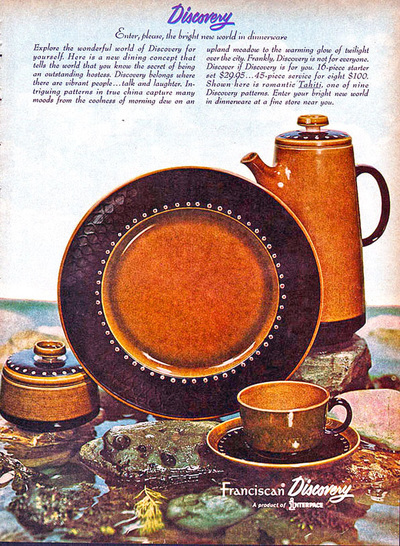 The Golden Age of California Pottery flourished from the 1940's to the 1970's. 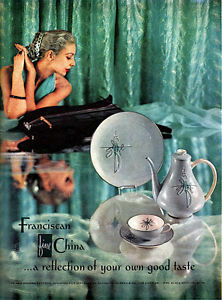 Franciscan Ceramics, Inc. was renown for high quality ceramic and tile work. 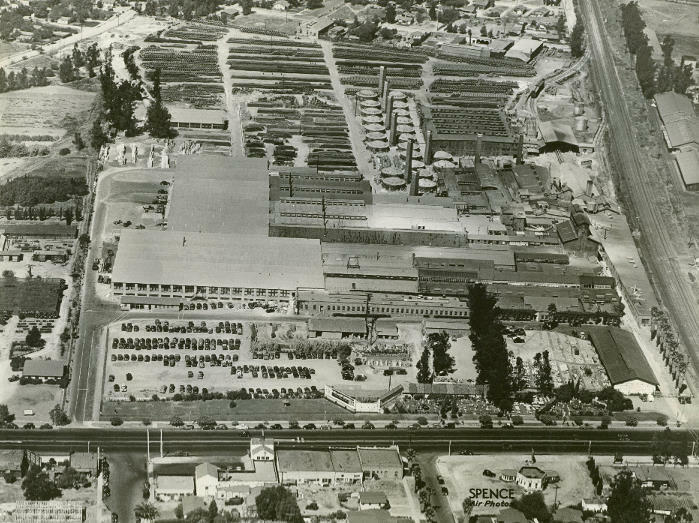 At one time there were 280 artists, craftsmen, and other workers employed at the 45-acre manufacturing facility located at 2901 Los Feliz Blvd. 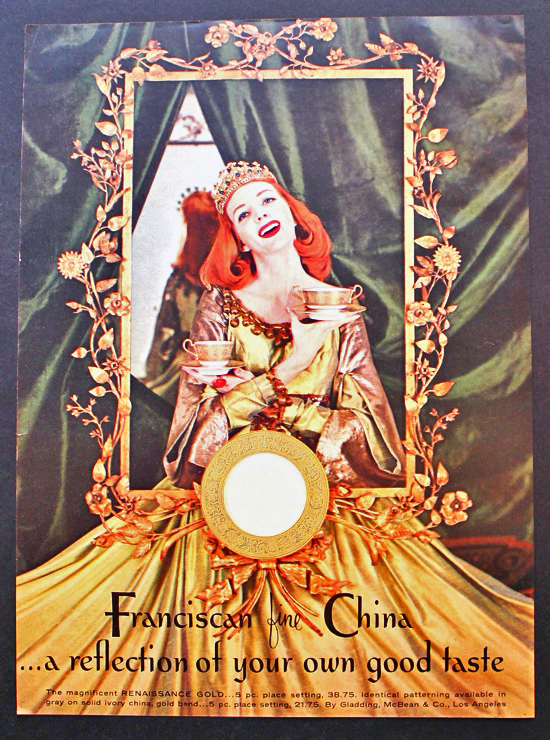 in Los Angeles, CA. 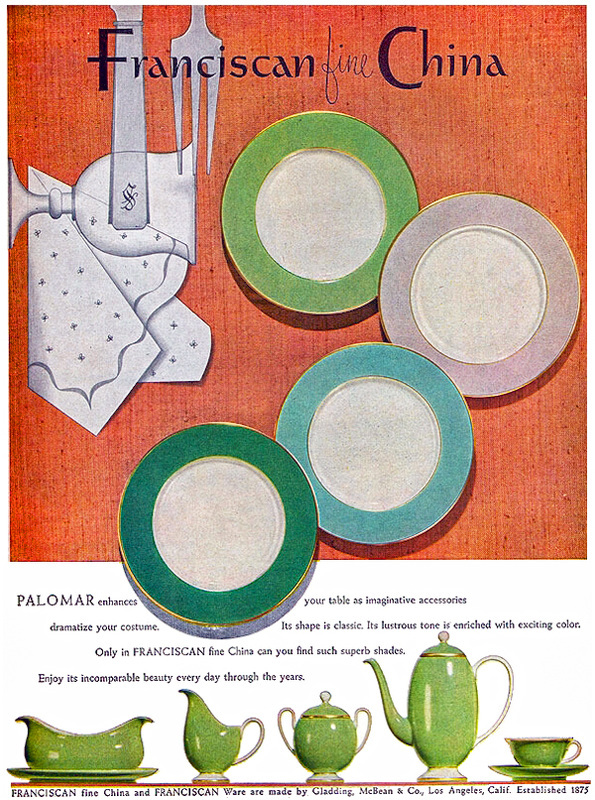 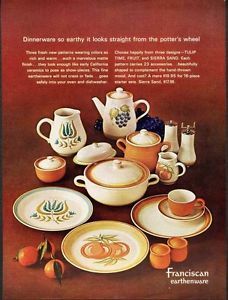 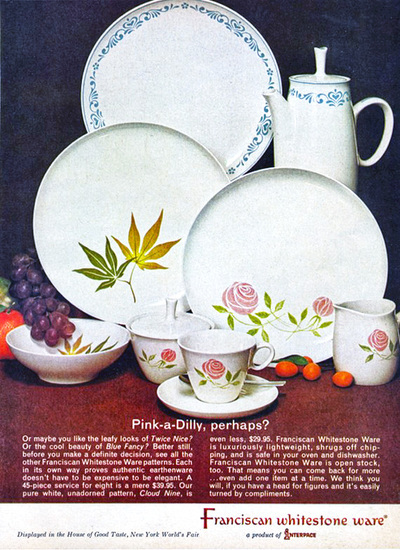 In 1984, the Franciscan Ceramics division closed, & all dinnerware lines were discontinued . 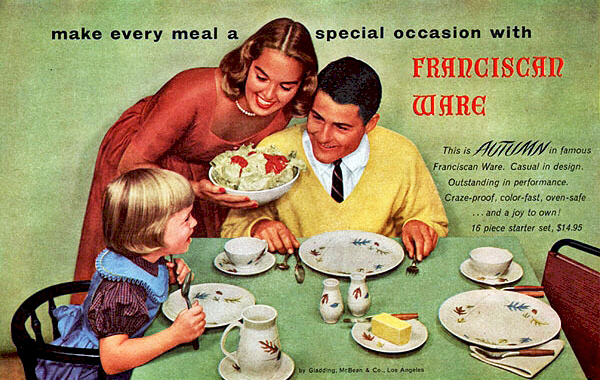 Today it is the site of a Costco. 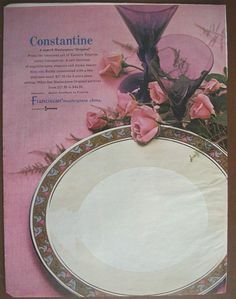 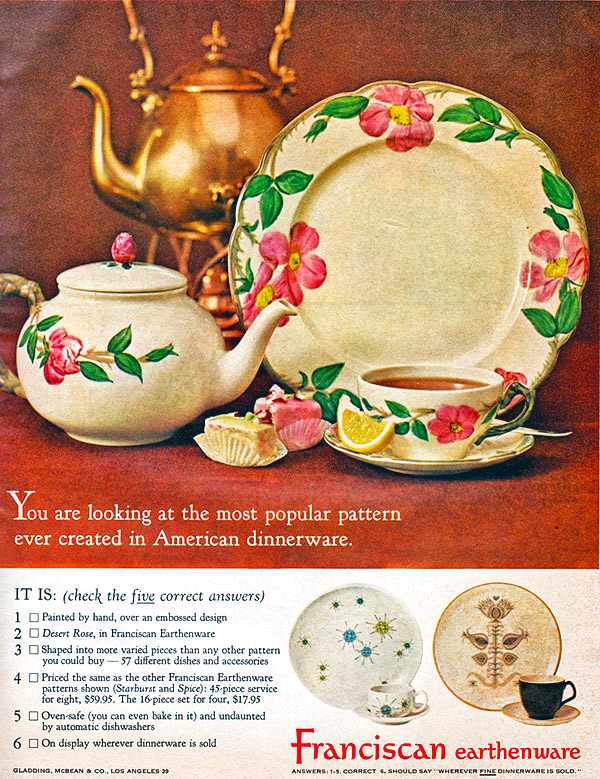 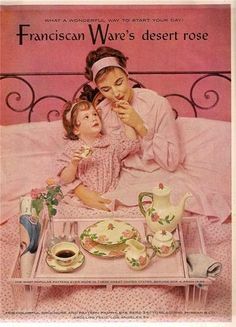 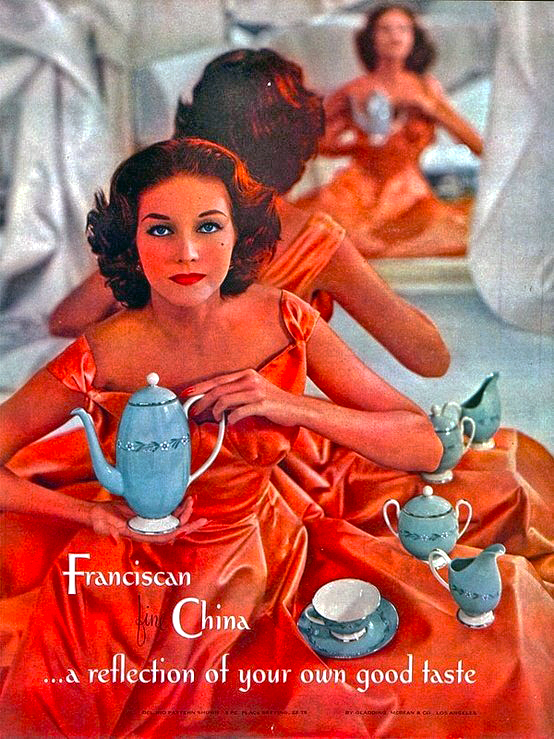 Franciscan was so well-regarded and recognized in its day, that in 1962 Jacqueline Kennedy ordered Franciscan Masterpiece china with the seal of the President of the United States for Air Force One. Admirers of Franciscan, Lucy and Desi Arnaz choose Franciscan Ivy dinnerware for the "I Love Lucy" television show. 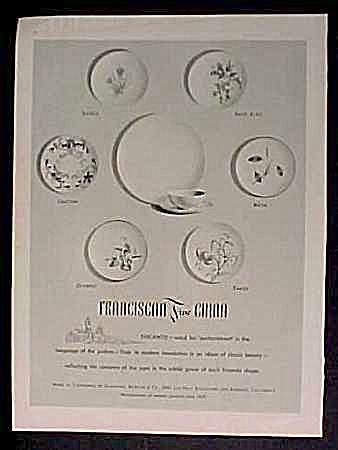 The TV show also featured Franciscan Fine China for the formal dining scenes, and Franciscan Tiempo for the card game scenes. 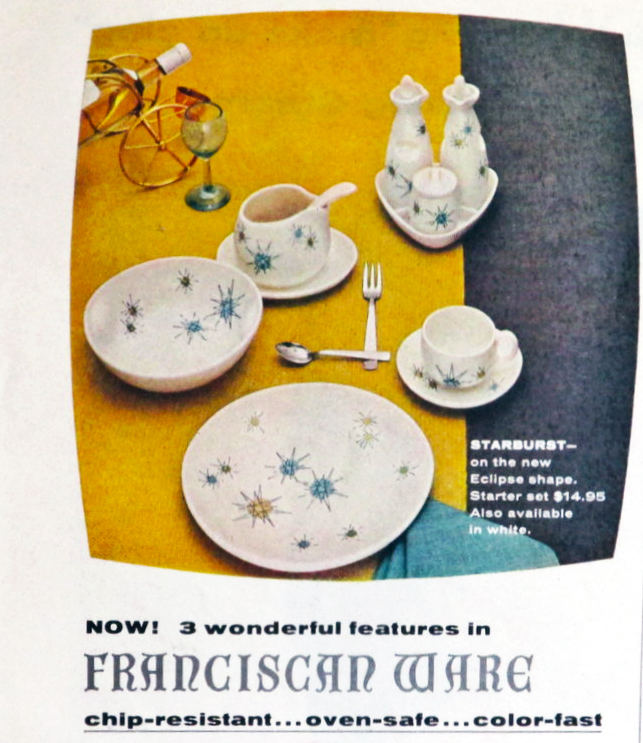 Franciscan Apple dinnerware was the choice for Major Nelson on "I Dream of Jeannie". 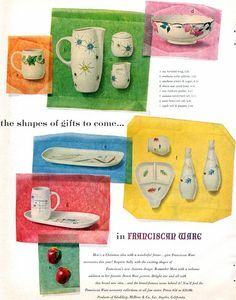 Music legend Elvis Presley was a known fan of Franciscan Ware. 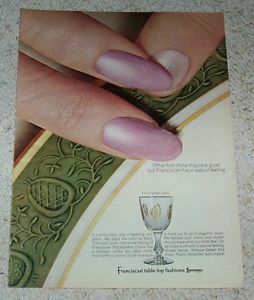 Elvis owned and used several sets - Franciscan Antique Green while living in Beverly Hills with Priscilla & Lisa Marie, and Franciscan Apple while living in Memphis. 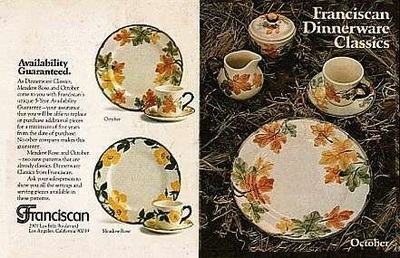 Elvis Presley's Franciscan Apple dinnerware is still proudly displayed at Graceland mansion. 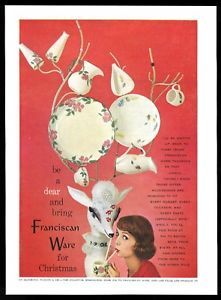 Classic Franciscan Mid Century Modern Advertising.